Race like a champion in F1 2015 and get closer than ever before to the experience of racing in the world’s most glamorous, exciting and prestigious motorsport. F1 2015 puts you in the heart of the action with a stunning new game engine that recreates the blisteringly fast and highly responsive racing cars of Formula One and features all-new ‘broadcast presentation’ that immerses you in the unique race day atmosphere. 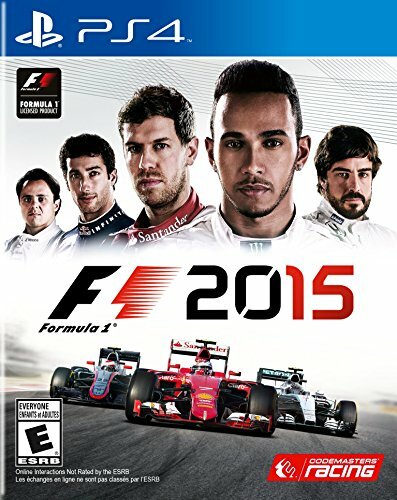 F1 2015 is the official videogame of the 2015 FIA Formula One World Championship and also features fully playable 2014 FIA Formula One World Championship bonus content. Compete as your favorite Formula One star in the new Championship Season and push yourself to the limit in the challenging Pro Season mode. Hone your skills in the new Online Practice Session, and then challenge your friends and racing rivals from across the world in Online Multiplayer.